The selection procedure of the 19 new Ministers was rigorous - PM Modi wanted 'doers' and 'performers' who would deliver on his vision of good governance. Experience, expertise and energy – combination of these ‘3 Es’ defined how 19 new members were inducted in the Council of Ministers by PM Narendra Modi on Tuesday. Similary, in the recently concluded TA League Annual Conference by People Matters, the HR leaders at the meet spoke at length about the same strategy they wish that companies should apply if they are to disrupt the industry and also be sustainable. In this age of talent evolution, organizations are also in a state of flux with new-age talent coming in and working along with the already seasoned experts in the field. The synthesis of these two talent groups is essential for the success of any organization. Experts in the TA League pointed out that for scale and sustainability, hiring the matured or the experienced talent is the key, while for creating disruption, it is necessary to recruit the new-age or the Millennials – talent who are more agile and adapting to newer things. Combination of maturity and agility will what defines growth. 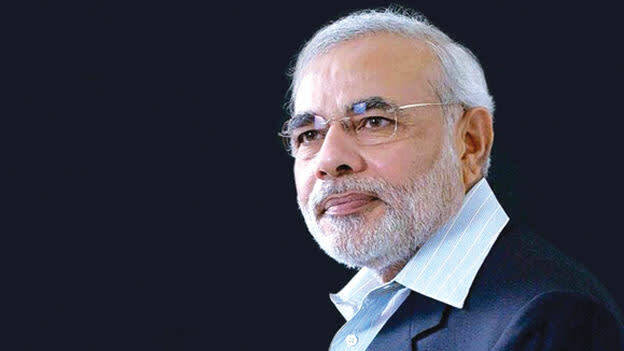 PM Modi combined this strategy well when he appointed P P Chaudhary who is a senior Supreme Court advocate with over four decades of experience in constitutional litigation, Subhash Ram Rao Bhamre who is a well-known doctor with a super specialisation in cancer surgery and M J Akbar who is a veteran editor and internationally acclaimed journalist. And the PM is just not satisfied with the experienced ones; he wants energetic Ministers in the Council as well. For fresh and newer perspectives, Modi has appointed Anupriya Patel and Mansukh Mandaviya. Selection process was rigorous. PM Narendra Modi laid down the selection procedure “to bring in doers and performers who would deliver on his vision of development and good governance, and further his central priority of gaon (villages), garib (poor) and kisan (farmers). Diversity is another aspect that the PM has taken note of. Two ministers are women, and five are Dalits, two from other minority communities. The 19 ministers come from states like UP, Rajasthan, Gujarat, Bengal, Maharashtra, Madhya Pradesh, Delhi, Uttarakhand, Karnataka and Assam. And he has been very strict about promoting – he only promoted the current environment minister Prakash Javadekar, who was at the minister of state level, to the Cabinet minister rank. The rest have been sworn in as ministers of state. The ones who didn’t perform well were firmly ousted from the ministers’ position. The five ministers who were dropped from the Union Council of Ministers are - Minister of State for Human Resource Development Ram Shankar Katheria, Minister of State for Water Resources, River Development and Ganga Rejuvenation Sanwar Lal Jat, Minister of State for Tribal Affairs Mansukhbhai D Vasava, Ministers of State for Agriculture M K Kundariya, and Minister of State for Panchayati Raj Nihal Chand. So national or corporate, HR remains the key focus area for all.